Buffalo Machinery was founded in 1978 by Louise Hsiao and Paul Chang. Paul Chang has been running the company ever since it was established. Louise Hsiao specializes in cameras while Paul Chang specializes in mechanical engineering. Buffalo decided to start another company Focus Corp. which would handle all photograph products. Another sister company Supermost Corp. was founded in Tapei and together these two companies covered distribution for Taiwan . This allowed Buffalo to completely step out of the camera and photograph equipment business and do what it knows best, which was exporting metal working machines. 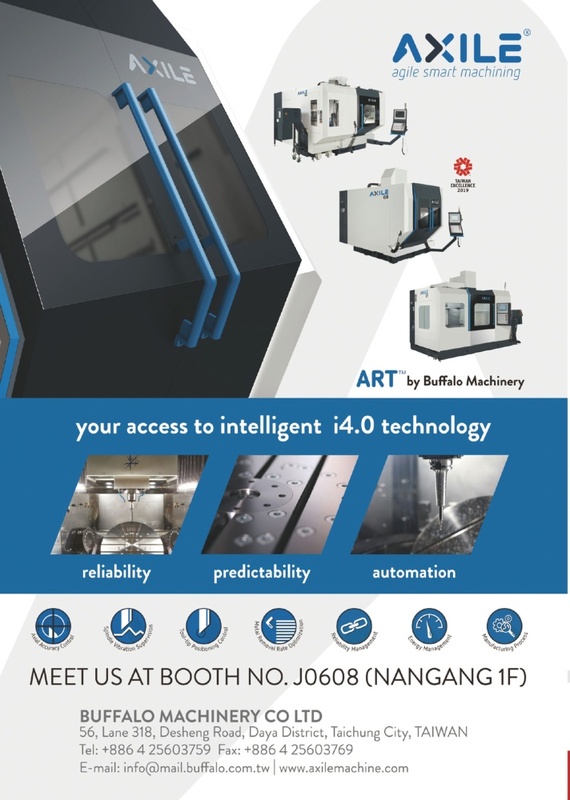 Buffalo Machinery has its own R&D department which develops new machines or modifies from what makers already have. It then sends it over for production at its factories. 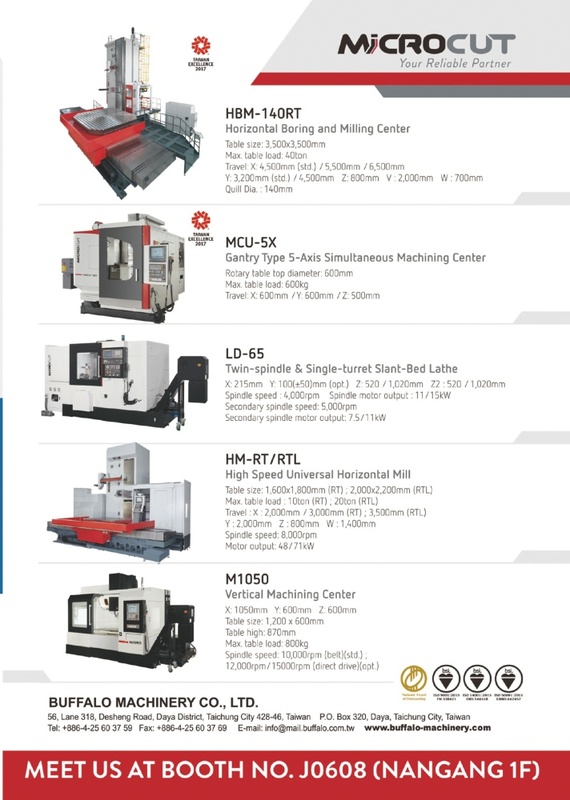 The company's MICROCUT line of metal-working machines comes out with Turning and Milling machines. In 1986, Buffalo got involved in the production area of machines by buying shares from a couple of factories making Lathes and Mills. In 1997 began building a plant especially for making CNC Lathe and CNC Mills (VMC). In 1996, Buffalo Machinery is completely owned by Paul Chang and is now located in Taya, Taichung County of Taiwan located 1.5KM away from the First Highway , Chung Ching junction. In 2007, the company had a total of 166 employees taking in USD$ 80,000,000 in revenue sales that year. Buffalo decided to have the company work by the lean system, which not only uses outside subcontractors but also establishes a star group. In spring of 2001, Tiger Industries was the first sister company created. It develops all the CNC frames for the mother company.